The British defense minister. The head of news at NPR. The co-author of "Game Change." The head of Amazon Studios. The star of "House of Cards." Every day there are disturbing new allegations about prominent men abusing their power. Every day there are belated apologies and corporate consequences. Every day there are new rumors about who might be accused next. This is the "Weinstein effect" in action, four weeks to the day after The New York Times published its initial investigation into film mogul Harvey Weinstein's sexual misconduct. 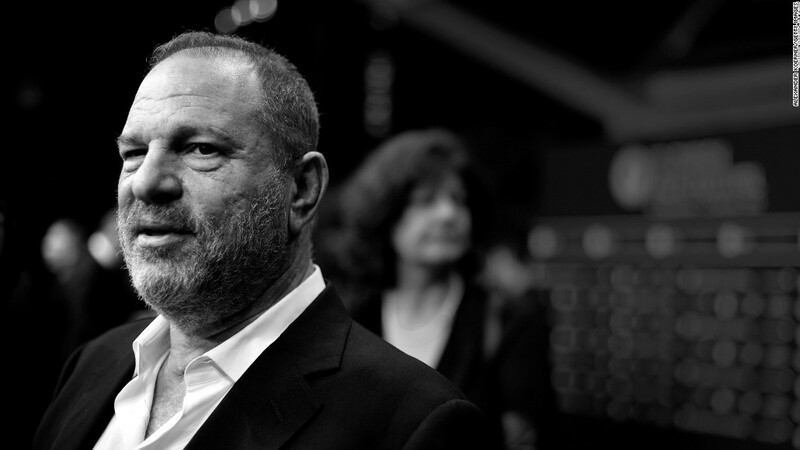 The stories about Weinstein in The Times and The New Yorker shocked the public and started a domino effect. It was the beginning of a long-overdue reckoning about sexual assault and harassment. Private conversations about abuse are now happening publicly and globally. Much still needs to be done to translate talk into action, to adapt cultural norms and create enforceable policy. But many women have expressed relief that their accounts of wrongdoing are finally being heard and respected. Men have joined women in saying #MeToo, describing their own experiences of being sexually harassed or assaulted. Companies like NPR, Netflix, Nickelodeon and institutions like the California Legislature have taken action in response to sexual misconduct allegations. Conversations and condemnation surrounding sexual misconduct have spread beyond the United States to France, Sweden, Canada and Singapore. Many of the cases of alleged wrongdoing involve media professionals. Recent examples of accused individuals include the actor Kevin Spacey and the director Brett Ratner. But victims are coming forward in other industries, too, in state capitals and on college campuses. In Nashville, police are looking into allegations against a prominent music industry publicist. In New Hampshire, several Dartmouth professors are the subject of a criminal probe into possible misconduct. Jodi Kantor, who co-authored the original Times story about Weinstein, said she hopes that part of the takeaway "is that journalism works." "Though the allegations we and others have brought to light are very painful, the past month speaks to what happens when journalists, sources and readers join together to ask tough questions of the powerful and make difficult topics easier to discuss," Kantor told CNN. It's been less than a month since Kantor and Megan Twohey's first Weinstein story was published. It's anyone's guess what another month of the "Weinstein effect" will bring. Journalists at a variety of news organizations continue to pursue leads about alleged abuse. Some of them are household names. Others may only be known in specific industries. The sheer number of the already-publicized cases shocks the conscience. "Each new revelation is good. Each new revelation makes the world safer for women and for everyone else. Each is a triumph of journalism, a testament to the moral worth of dogged and empathetic reporting," The Atlantic's Megan Garber wrote on Thursday. "But each new revelation also exposes the reach of the shadows, the scale of the monstrosity, the depth of the lie." Different cases have resulted in different repercussions. Editor Leon Wieseltier was fired by Emerson Collective, where he was about to launch a new journal. Political analyst Mark Halperin lost his book deal and TV contract. Conservative commentator Bill O'Reilly was dropped by two talent agencies. Some of the consequences could be criminal in nature. Police in New York, London and Los Angeles have open investigations into Weinstein. Gretchen Carlson, who sued Fox News boss Roger Ailes alleging sexual harassment and discrimination last year, said "this is a national epidemic that's been silenced for too long." Carlson, who is now promoting a new book on the subject, "Be Fierce," told CNN that it is vital not to lose sight of the countless women who still don't feel able to speak out. "I've been encouraging the many, many women who've reached out to me with their own harassment stories from all professions (waitresses to flight attendants to engineers) to take their stories public to the media so they too can receive justice -- not just the high profile cases of Hollywood," Carlson said. Anita Hill, who 26 years ago accused her former boss and U.S. Supreme Court nominee Clarence Thomas of sexual harassment, told The New Yorker she hopes more "everyday women" will feel the effects of Weinstein's downfall. "People need to take this moment to make clear that this is not just about Hollywood," Hill said.